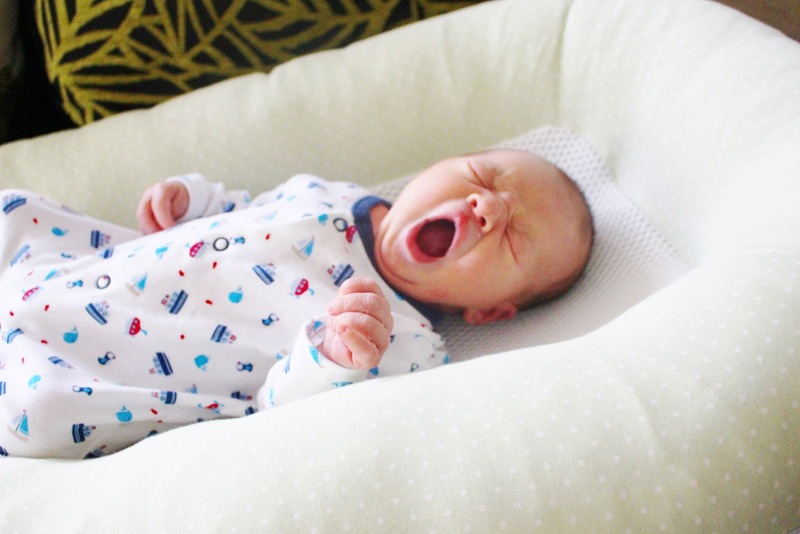 From the minute I found out I was pregnant - I was already dreading the sleepless nights, I had the typical first mum expectation that I'd be up from 9pm to 9am, and by the end of Week 2 I'd have eye-bags down to my chin. We've made it to Week 2, and sure, I may looking my best, but I'd say I'm still fighting off the chin level eye-bags. I think I can safely say this is in part down to our Purflo Breathable Nest. From the get-go, so many people recommended these baby pod type things. The Sleepyhead, The Poddle Pod, the Cosydream, the list goes on, but I was pretty much sold on the idea of one. What I wasn't sold on, was the price of some of them. Some of the various brands were in excess of £130, others looked tiny, and none were breathable. We found the Purflo Breathable Nest via other blogs, and kindly they offered to send one for Harrison to try. I truly don't know what we'd have done without it. 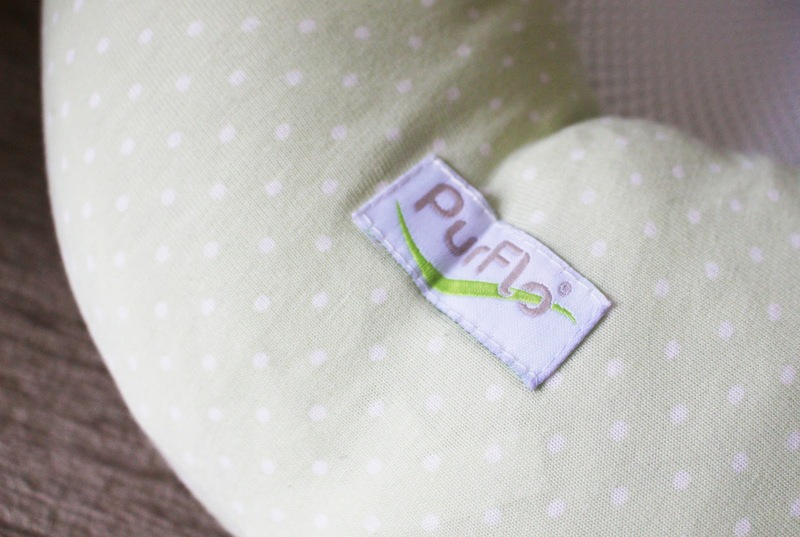 The Purflo Breathable Nest is pretty much a godsend - 'a portable, safe haven for your newborn and tummytime support as they grow'. Obviously with Harrison being only 2 weeks old we've not had a chance to try it for tummy-time, but for sleeping it's been an essential. For the first few nights, we tried Harrison just in his Next To Me Crib (also a godsend, but more to come on that later), in GroBags at first, then swaddled, but he just wasn't settling with either. At first, I'd planned on only using the Nest for naptimes during the day, but being at a loss, we tried it for his third night, and he's been settled ever since - well, as settled as a newborn can be. The Nest is completely breathable, both the mesh base, and the padded surroundings, and the cover is easily removable so that it can be washed with ease! Another thing I loved about the Purflo brand is that the covers for the nest don't break the bank... Without naming names, other brands charge an arm and a leg to get replacement covers, which you don't tend to think about when you purchase the inital product in the first place. Speaking of price in general, the nest retails at £44.28 with free delivery on Amazon right now, and is worth every single penny! It also comes in various colour options, which are gender neutral so perfect for anyone. Fair enough this says nothing about the Purflo, but we bought a Moses for using downstairs during the day, and Harrison has been in it once in two weeks. He spends his time asleep in the day in his nest on the couch, so our basket has been left untouched. Note to self, don't buy everything until little one arrives. I couldn't recommend a product or a company more, and I have every faith that Harrison will continue to use his nest for the next few months at least. It's targeted for use between birth and 18 months, so we have plenty of time left with it, and if anything it'll only become more useful as he gets bigger and fills into it more. 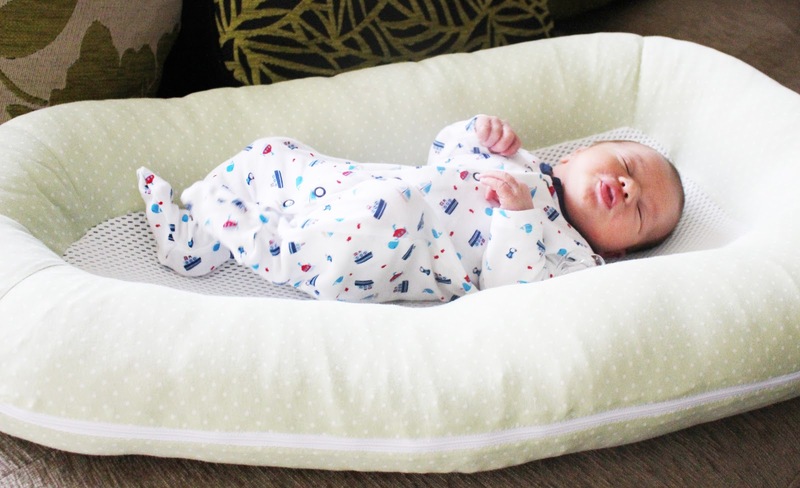 The Purflo Breathable Nest is my newborn hack, what was yours? Did you have any holy-grail products you wouldn't have coped without? Let me know in the comments! Disclaimer: This post was not sponsored, however it does contain an item we were sent for review! All of my honest opinions are included though and I would not share something I do not use myself.